Born out of fire and earth, the Phoenix takes the simple shape of a hexagon as the basis for its exquisite design. The shape is copiously multiplied, twisted, turned and built up on branches all fed into a central cluster of luxuriously patinated plates. Jurassic in character and unapologetic in its form, the colour palette is that of its origin, the flame oranges and reds of rust-toned steel and copper. The addition of nickel plates makes way for stunning reflections of light and finishes off this tri-colour marvel to perfection. 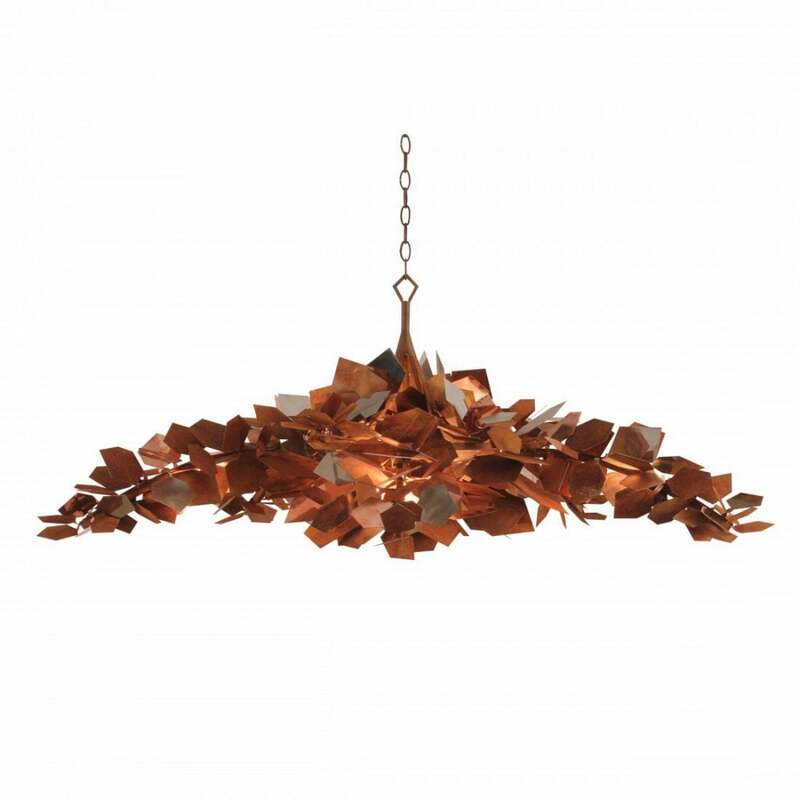 The Phoenix has risen in two forms; a chandelier with 5 sprawling arms for higher impact and a the more compact Phoenix Crown which sees the plates densely packed on to a circular frame.